The majority of AMD’s “Volcanic Islands” graphics cards have been comprised of rebadged hardware from the previous generation, sans only the R9 290 and R9 290x. Essentially, the graphics cards in the series just got a new name and in some cases a speed bump. 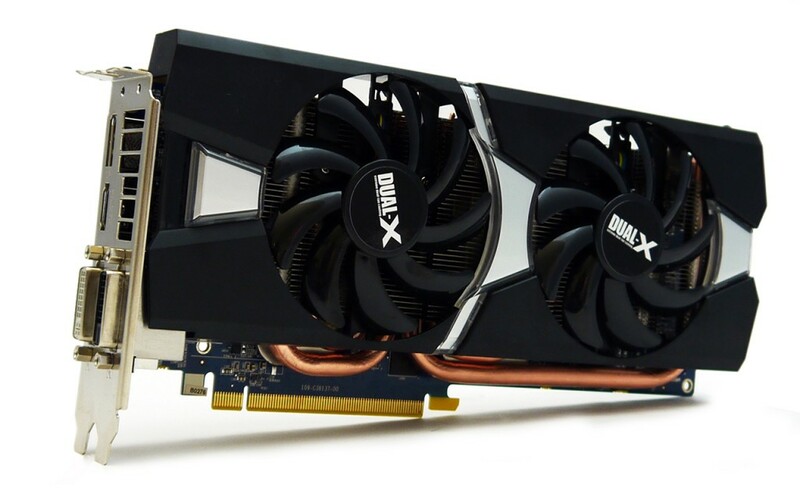 The latest graphics card to receive the rebadging treatment is the Radeon R9 280, which other than an 8 MHz higher clock frequency is identical to the retired Radeon 7950 Boost. Unlike many other graphics cards in the series, AMD decided to soft-launch the R9 280, so you won’t find a reference design on the market, rather various distinct models from all the standard players, such as the Sapphire’s offering we were able to get our hands on. The Sapphire model we are looking at is part of their Dual-X series, which features a large heatsink that incorporates 4 heatpipes and a duo of 80mm fans. The Sapphire model also comes with a custom blue PCB and it sports a dual BIOS toggle switch that allows the card to switch between standard and UEFI BIOS. Since the AMD Radeon R9 280 is based on the same Tahiti Pro graphics processor the silicon features 28 Compute Units, 1792 Streaming Processors and all 32 ROPs are active. The Tahiti architecture also includes six 64-bit memory controllers, giving it a 384-bit bus. Like the 7950 before it, AMD has also outfitted the card with 3GB of 5GHz GDDR5 memory, which with the 384-bit bus equates to a peak memory bandwidth of 240GB/s. Price wise, at $299, the AMD Radeon R9 280 falls just between the high-end 280x and the mid-range R9 270x. At this price the 280 gives gamers the option of high-end performance without the premium, but it also puts it in a range where it has to compete with the likes of the NVIDIA GTX 770. Core Clock 850MHz 850MHz 1000MHz 1000MHz?